This weeks prompt was to do a design which isn't something you usually would wear. I chose to use a glitter bomb polish from OPI called Desperately Seeking Sequins* which as pretty as glitter polishes are I don't tend to wear them, so it tied in well with the prompt. 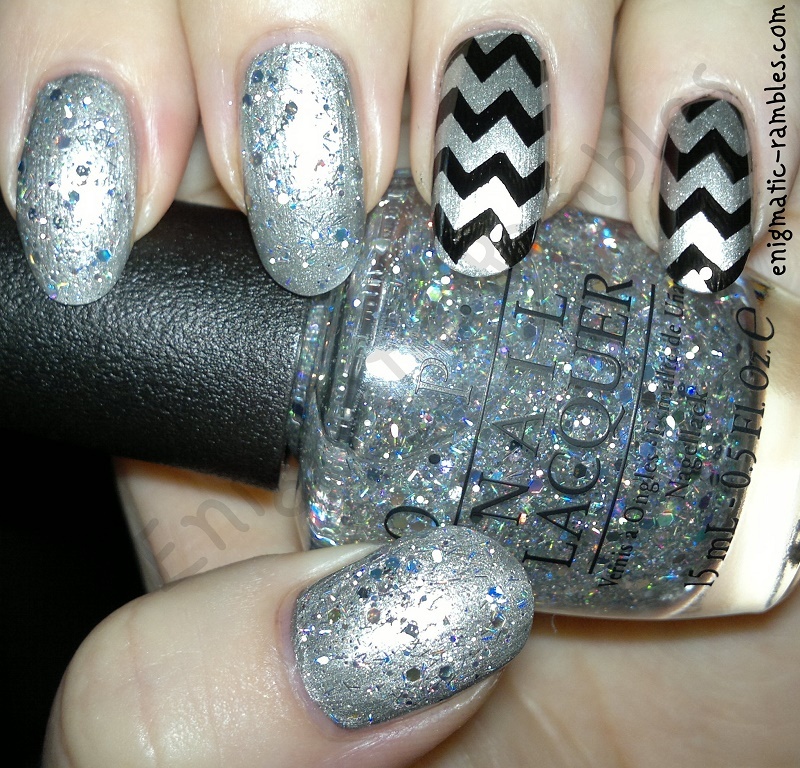 I stamped some black chevrons over a silver base of OPI's My Silk Tie* using MoYou 128. Desperately Seeking Sequins and My Silk Tie were kindly sent by JustMyLook. They sell nail polish, OPI, Morgan Taylor and CND Vinlux and have free UK delivery. Thanks, I like it too, I keep going back to chevron nails!